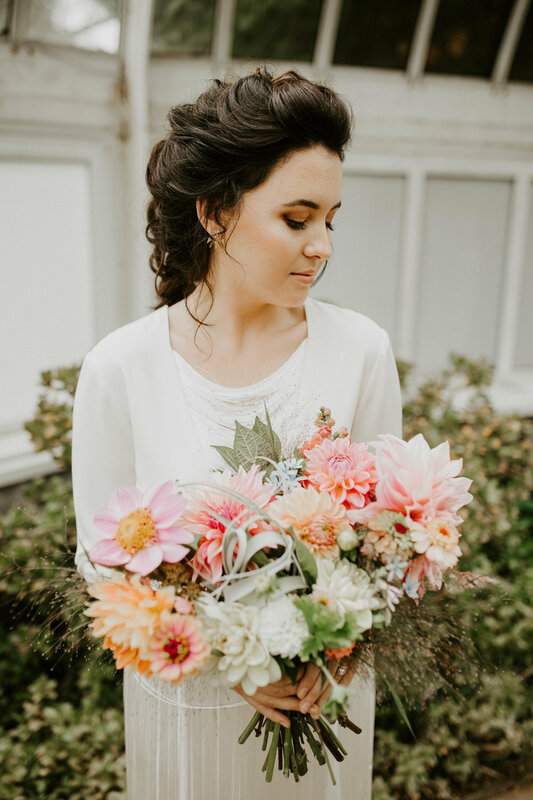 I am so, SO excited to finally share this styled shoot that I did in August alongside some absolutely amazing vendors! 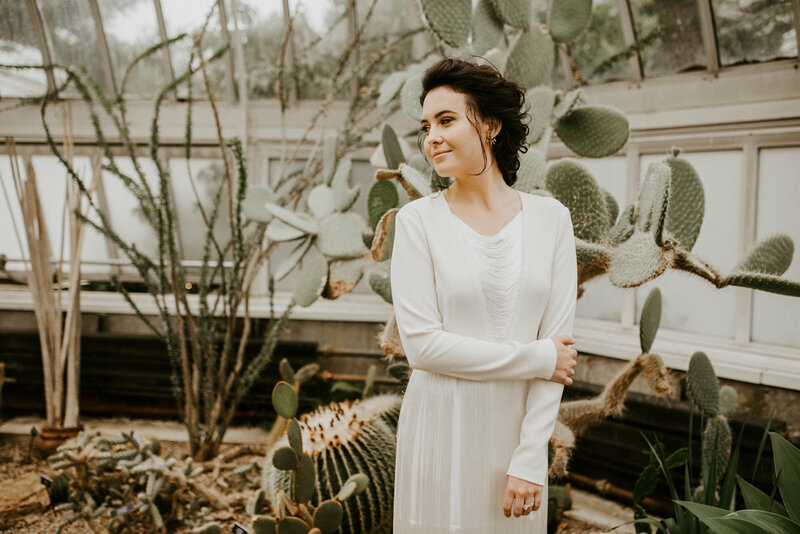 Our model, Ellie, had her hair and makeup done by the lovely Hannah Conard Beauty, and Hannah knocked my vision for this shoot out of the park. 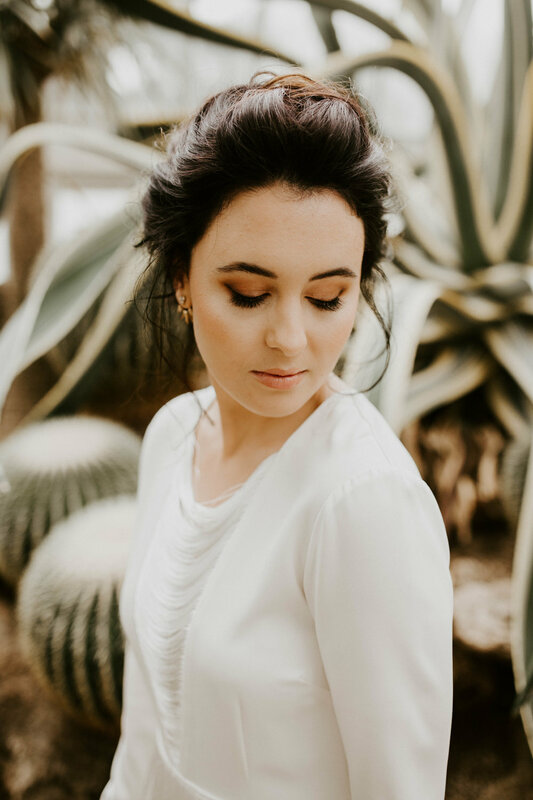 She has this amazing ability to make anyone's makeup just look so natural and beautiful, and that's exactly what my vision for the makeup for this shoot was. 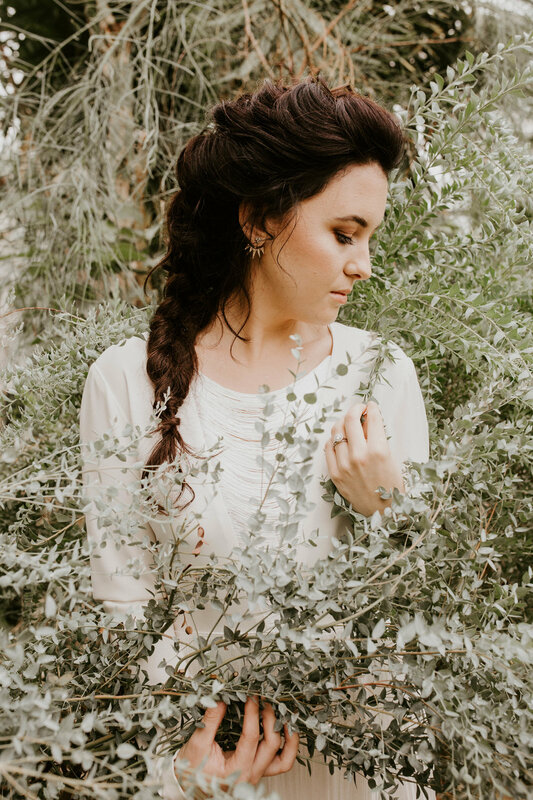 Hannah came up with the coolest hairstyle for this shoot as well. 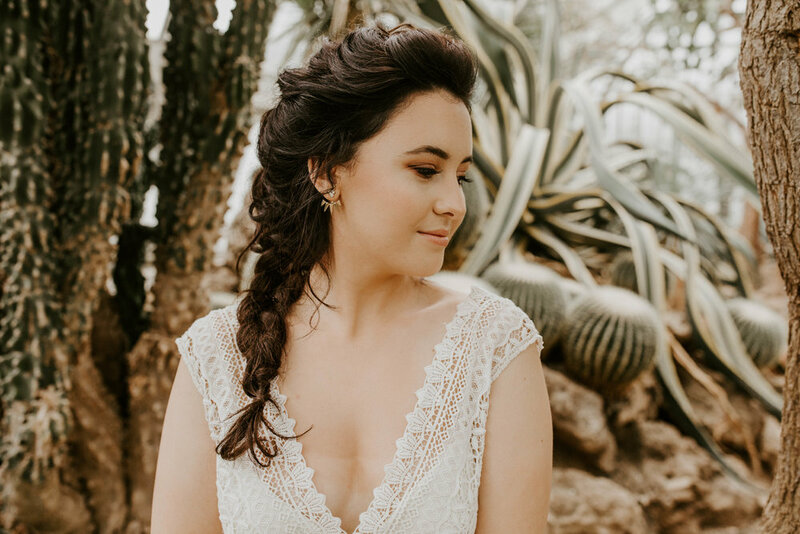 I don't often see brides with a full braid look, so it was nice to photograph something a little different. 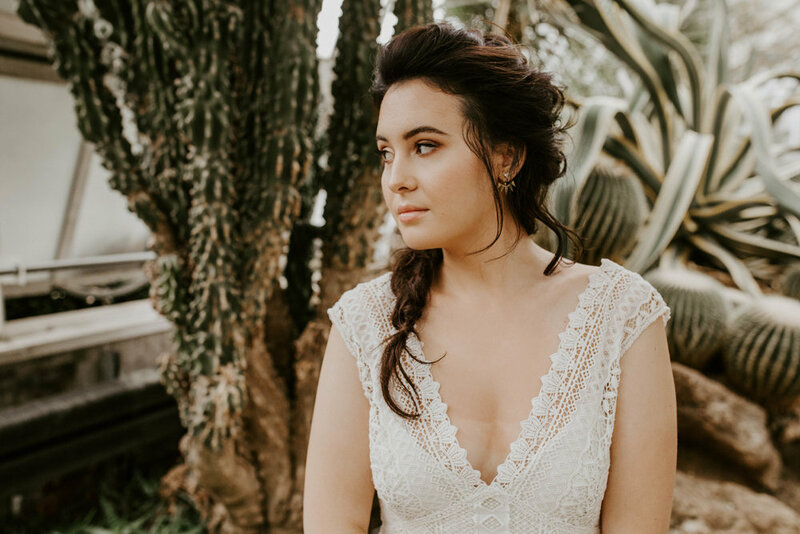 We were going for a mixture of edgy and romantic for the hair, since the makeup was pretty soft and natural. 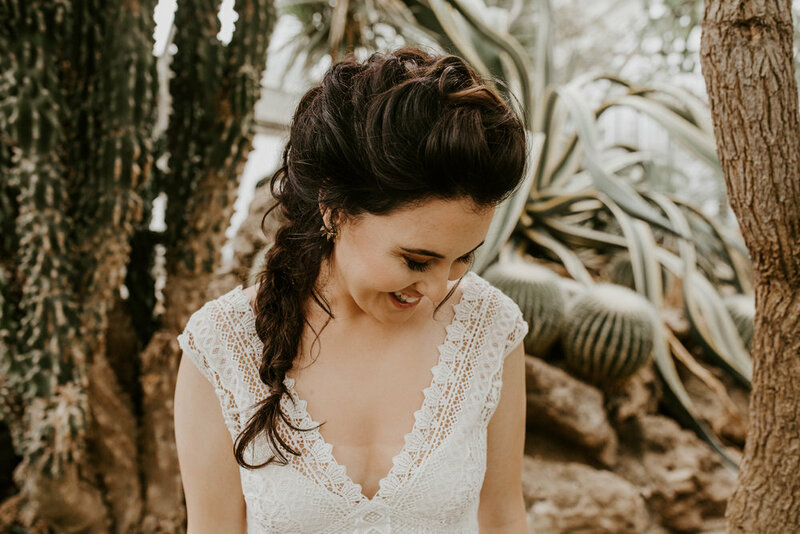 The end result was a beautiful and textural french braid with lots of messy volume on top. 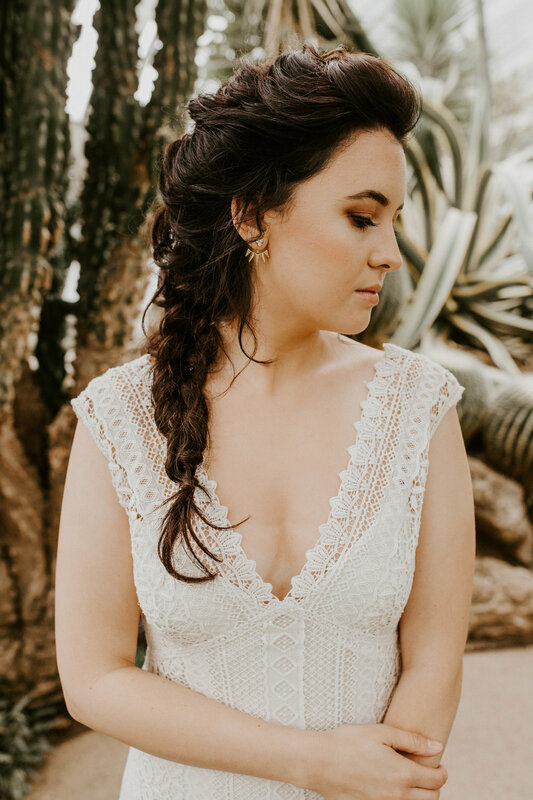 I can't explain how much I love this hairstyle and it photographed SO well with the room and dresses that Ellie was in. 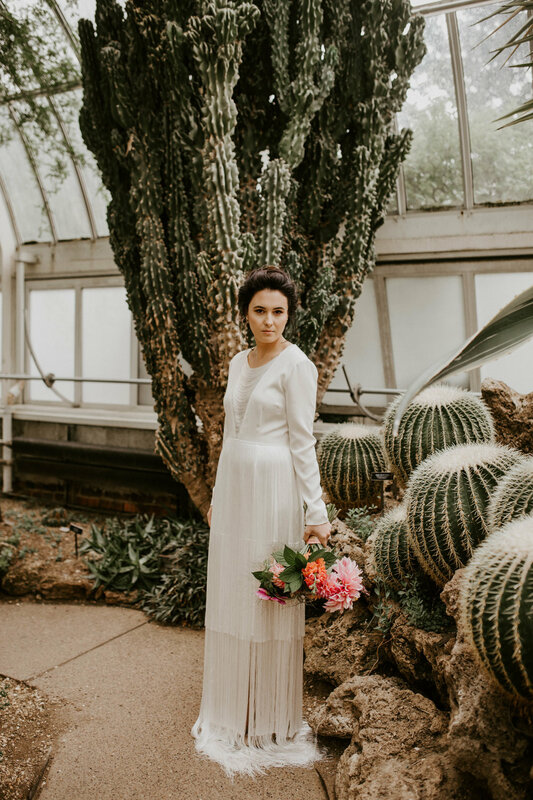 We had two dresses donated to us by Luna, a bridal and specialty occasion boutique in Sewickley, PA. 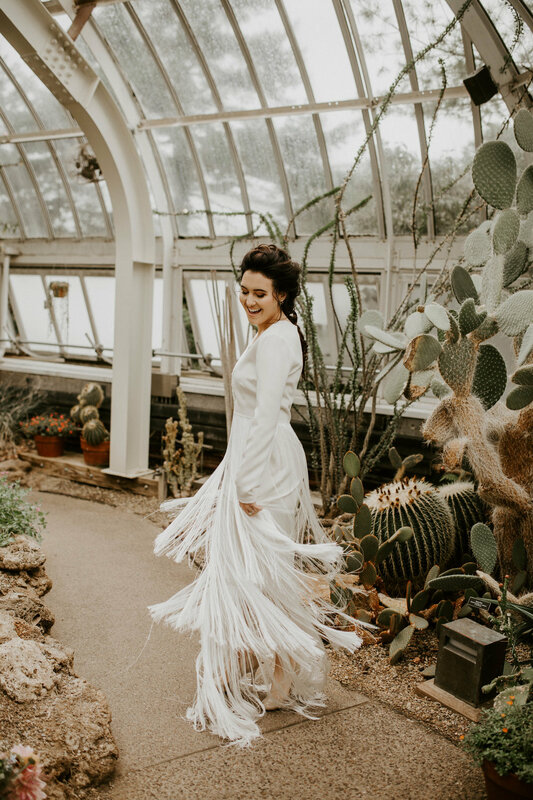 The first dress was this absolutely amazing fringe piece with long sleeves designed by Houghton. 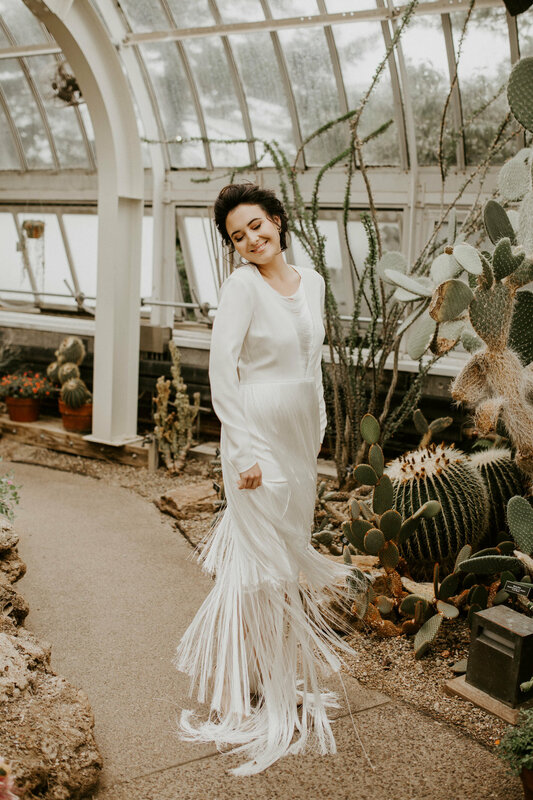 This dress moved so well, I can only imagine how amazing it would look on the dance floor at a real wedding! 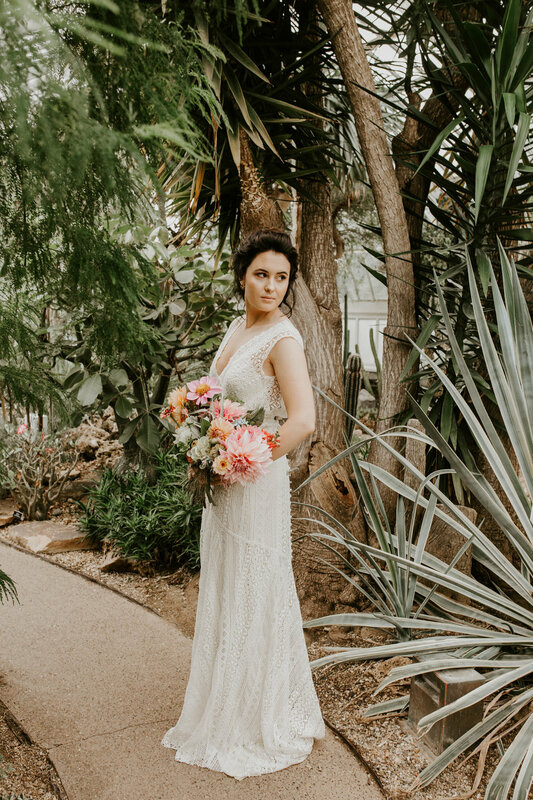 The second dress was a beautiful crochet lace piece, designed by Rebecca Schoneveld. 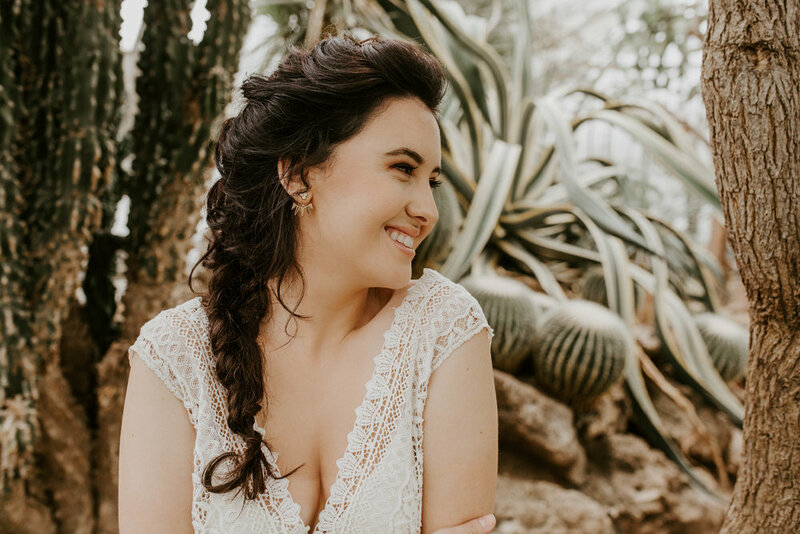 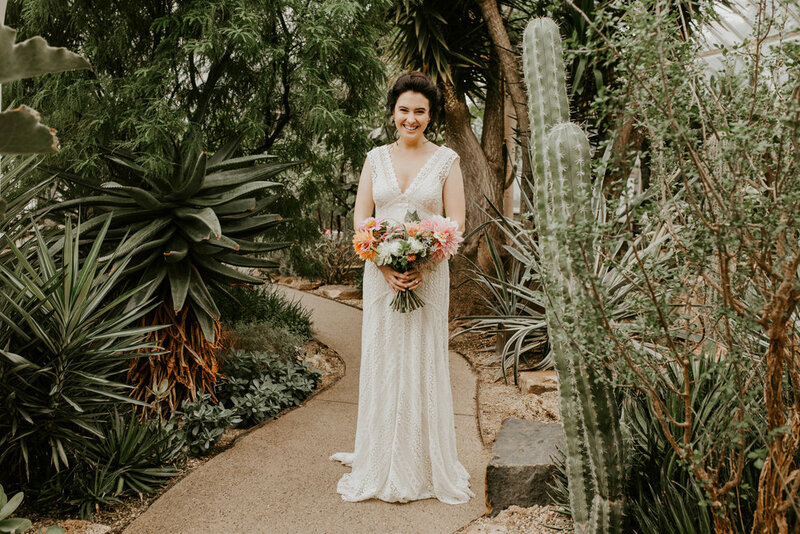 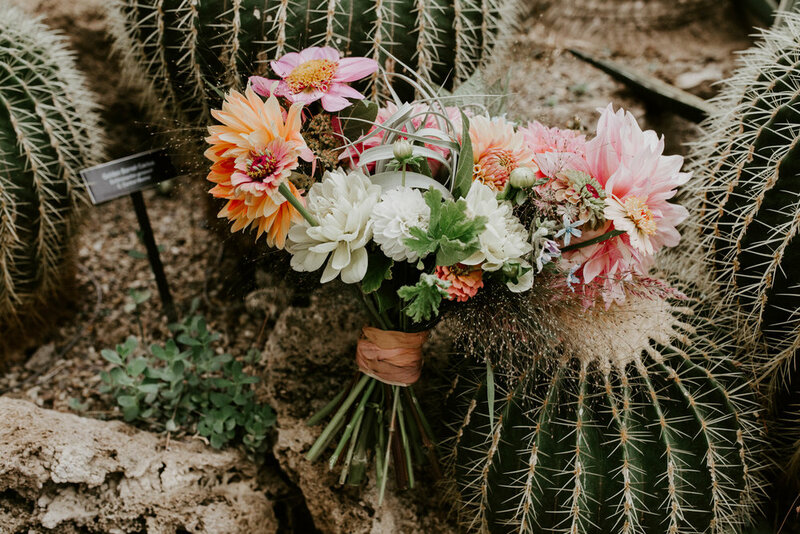 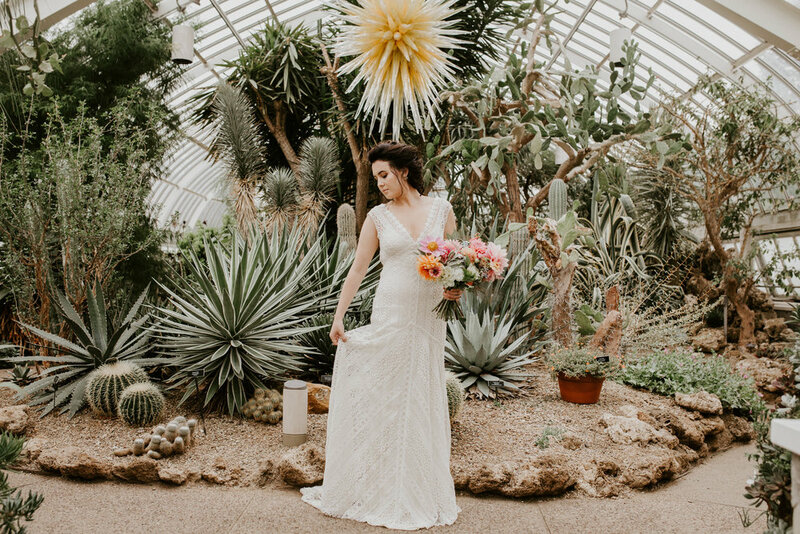 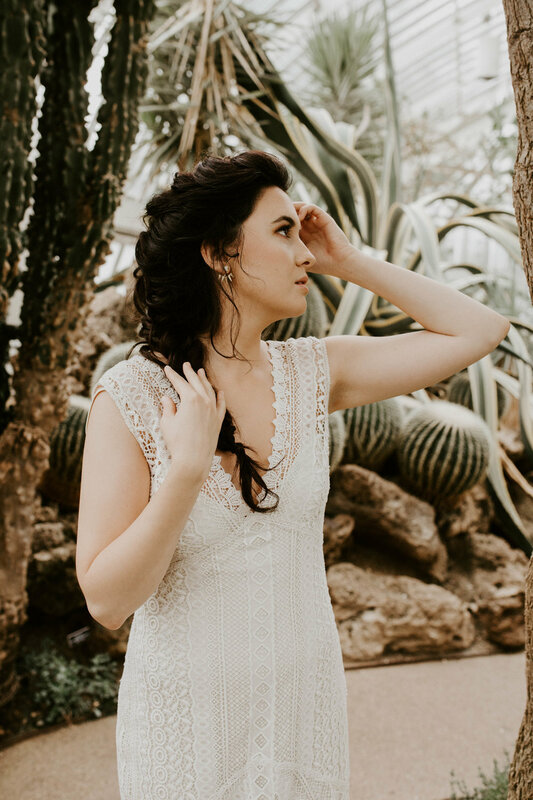 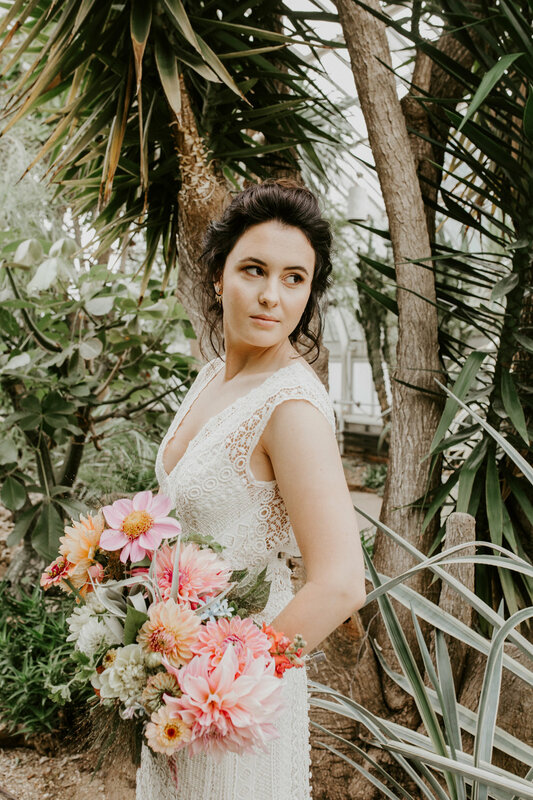 I really wanted to play up the texture of the dresses since we were surrounded by succulents and cacti in the desert room of Phipps Conservatory, and the crochet lace on the second dress was exactly what I was looking for. 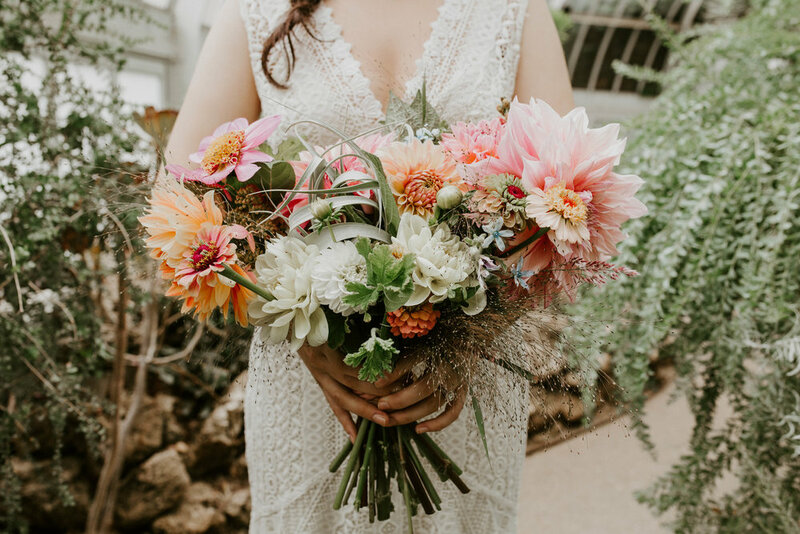 The very last detail we needed to complete the look were some beautiful blooms, and The Farmer's Daughter absolutely knocked it out of the park with the bridal bouquet she came up with. 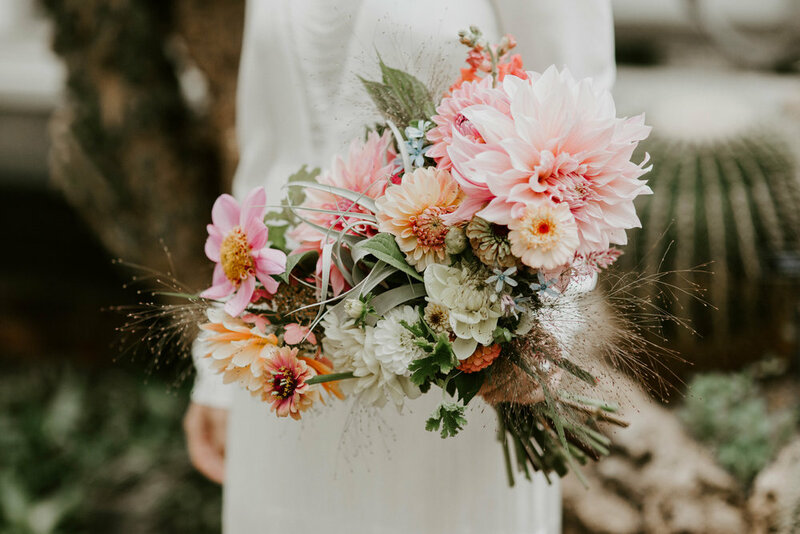 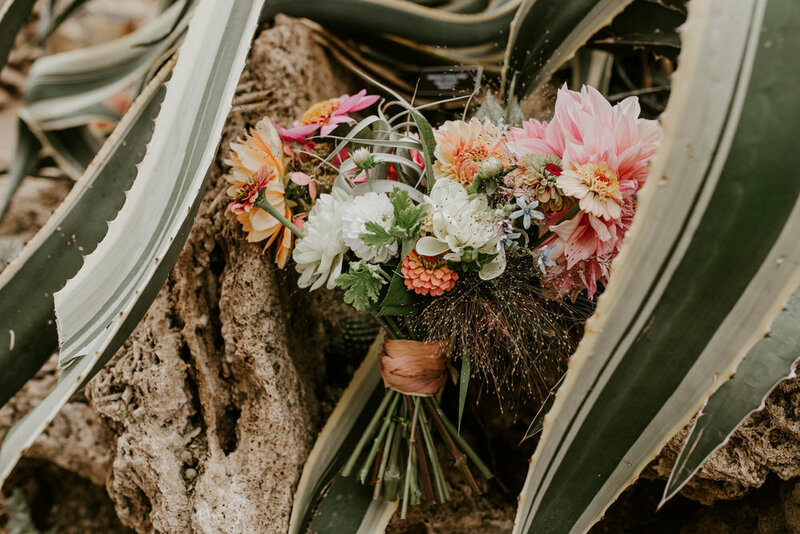 Full of dahlias, and air plant, and lots and lots of bright colors, this bouquet was exactly what the shoot needed to bring a bright pop to the otherwise green room we were photographing in. 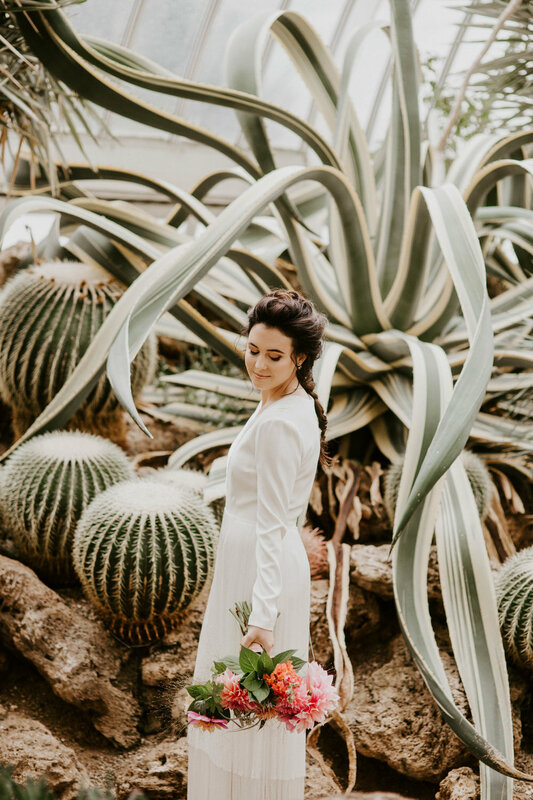 I hope that you love this shoot as much as I do. 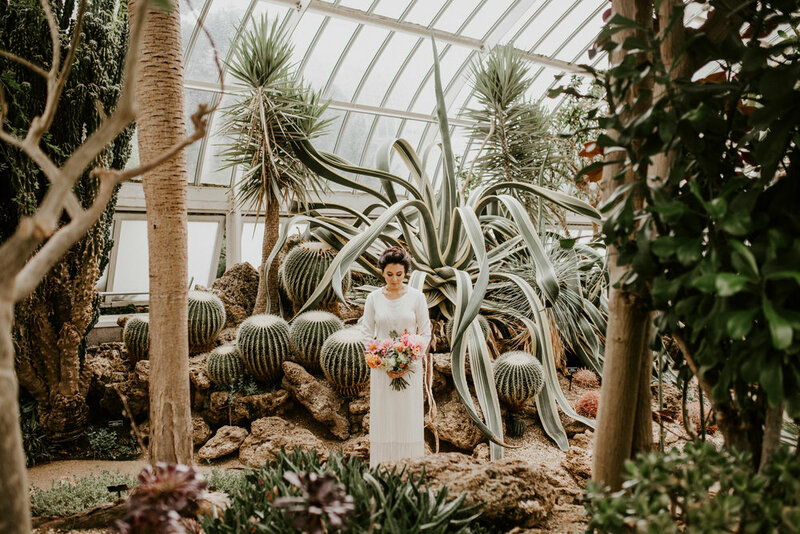 This team of vendors was such a dream to work with, and the day couldn't have gone any more perfectly. 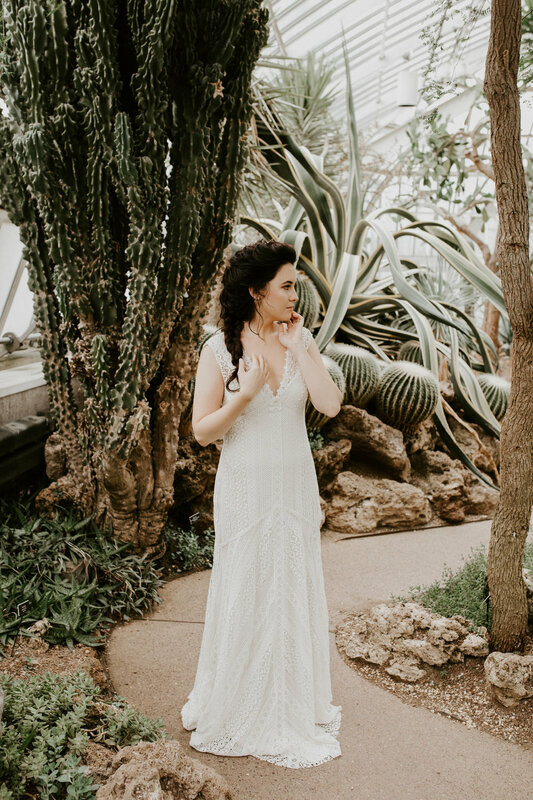 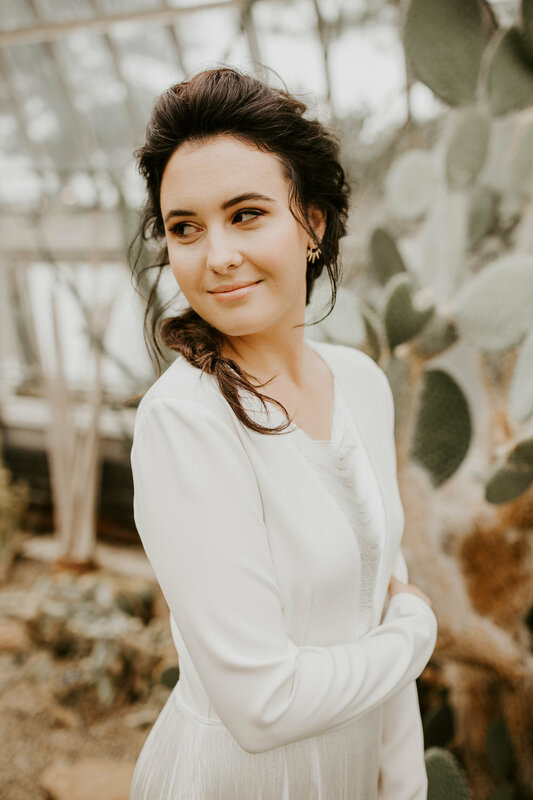 Thank you so much to Hannah Conard Beauty, Luna Boutique, The Farmer's Daughter, Phipps Conservatory and Botanical Gardens, and Ellie for helping make this dream styled shoot come true for me! 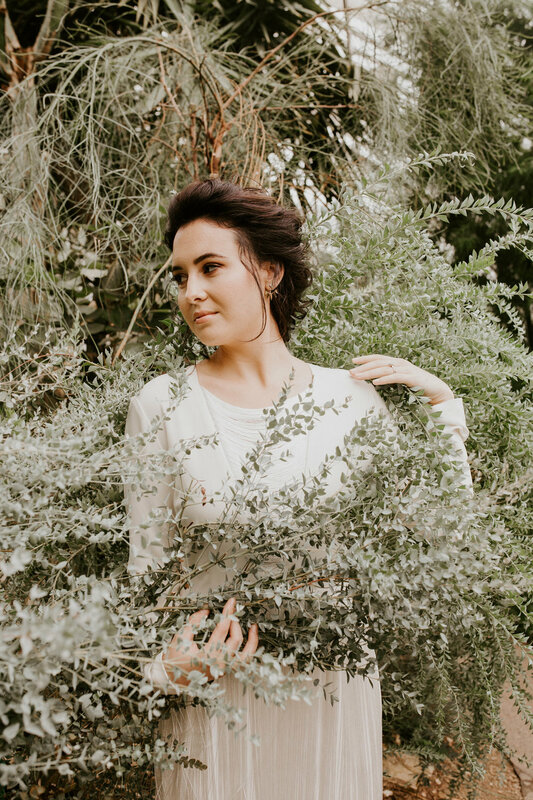 I hope you enjoy looking at these photos as much as I enjoyed taking and editing them!